Dr. Jessica Gordon Nembhard is the foremost historian on African American cooperatives and community economics. RMEOC’s Halisi Vinson spoke alongside her at last year’s National Urban League conference, and we were excited to see her again at the 2017 ACE Institute in Denver last month. We had the chance to discuss her work and learn about African American cooperative thought. Your book establishes the importance of African American cooperative thought and practice, especially throughout the 20th century. Why have the movements and people behind them received little attention up to now? African American cooperatives have received little attention due to capitalist ideology, red baiting, white supremacist terrorism against co-ops and alternative projects, financial sabotage, and lack of information about co-ops as a viable model. African American co-op history, or the long legacy of economic cooperation among African Americans, has not been talked about much or written much about sometimes to protect the projects from further harassment and destruction. So partly the co-op history is clandestine to protect the co-ops or people involved from potential sabotage and terrorist violence. The concerted undermining is also missed often because the stories are told of failure, so they don’t get repeated often because people don’t want to be reminded of failures. Cooperative business models are not discussed much in Black communities because they are assumed to be inferior or marginal to “regular” business, and/or to be socialist or communist, and Blacks have been taught that those alternatives do not work and are foolish to pursue. Therefore, African Americans do not know there are viable models and successful efforts at cooperative ownership. Cooperative models are rarely taught in schools or colleges, not offered by small business centers, and not supported by community developers and urban planners. In addition, the co-op movement by the mid to late 20th century did not promote co-ops in Black urban communities, and by all appearances cooperatives were a white European strategy. What are common characteristics of successful work culture in the co-ops you studied? Characteristics of successful work culture include learning together; using sweat equity and human energy to support co-op development, encourage membership, and attract members; developing multiple opportunities for leadership among the members; open book management; developing job ladder opportunities; providing benefits such as full time work, living wages, sick leave, vacation time, health insurance, retirement plan, short term loans/advances; connecting to organized labor; establishing wellness practices, flex time, and other amenities like joint vacation home; rotating the most lucrative and/or most demanding or powerful jobs or management positions; providing personal customized services to customers; educating the public and their clients about the co-op and the co-op model, and providing volunteer and community service in their communities. Based on your consulting and research, what current African American worker cooperatives should people know about? Green Worker Cooperatives, South Bronx, NY, 2007 – present. Cooperative Janitorial Services, Cincinnati, OH, 1995- present. 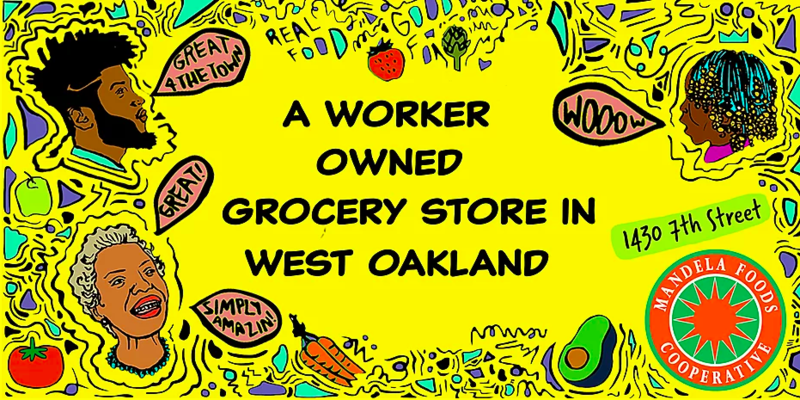 Mandela Foods Cooperative, West Oakland, CA, 2009-present. Toxic Soil Busters, Worchester, MA, 2006-present. Relatedly, what are biggest needs that worker cooperatives have today? Worker cooperatives could benefit by having greater access to non-predatory startup or expansion funds. Establishing co-op supply chains and regional federations would create a greater opportunities. All cooperative law differs state to state, so enabling unified state laws and establishing worker co-op federal law would add legitimacy. Additionally, worker cooperatives would benefit from anti-racism training and education about institutional racism. We have to keep in mind the overarching goal of eliminating economic inequality. Read Part 1 of our interview! JESSICA GORDON NEMBHARD is PROFESSOR of Community Justice and Social Economic Development in the Department of Africana Studies at John Jay College, of the City University of New York (CUNY) in New York City, USA, where she is also Director of the McNair Post-Baccalaureate Achievement Program. She is an affiliate scholar at the Centre for the Study of Co-operatives at the University of Saskatchewan in Canada, where she is co-investigator for the “Measuring the Impact of Credit Unions,” Community and University Research Partnerships (CURA) project; and an affiliate scholar with the Economics Department’s Center on Race and Wealth at Howard University. Dr. Gordon Nembhard is a political economist specializing in community economics, Black Political Economy and popular economic literacy. Her research and publications explore problematics and alternative solutions in cooperative economic development and worker ownership, community economic development, wealth inequality and community-based asset building, and community-based approaches to justice. She has recently completed a book on Black cooperatives: Collective Courage: A History of African American Cooperative Economic Thought and Practice (2014 The Pennsylvania State University Press). Collective Courage was a finalist for the University of Memphis Benjamin L. Hicks National Book Award for 2014.